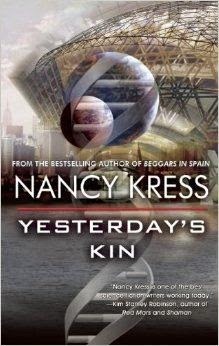 I've been a fan of Nancy Kress ever since I first read Beggar's In Spain a couple years ago. Since then, I've slowly worked my way through much of her back catalog, which can be a bit of a pain, since much of what she's done is either A) short stories or B) not available on my Nook. That being said, I've read a fair amount of her output, and I can honestly say that I'm quite the fan. For those curious about where she falls on the Mohs Scale of Sci-Fi hardness, I would place her right around the 4.5 level ("One Big Fib"), but she seems to meander between 4 and 5, which is pretty crunchy, to be perfectly honest, and about as "hard" as I think I could handle for casual reading. 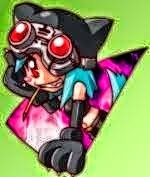 For instance, Crossfire and Crucible have near-C travel, but the time dilation effects are actually major plot points, so while she's using high speed travel between stars, she's taking the science into account. She also (generally) places her stories on Earth in the nearish future; there's no blasters, but plenty of genetic engineering, oftentimes at the hands of Highly Advanced Aliens. So, for once, I've read a current novel. Yesterday's Kin was published by Tachyon Publications, which, until today, I'd never even heard of. But who cares about the publisher? Let's talk about the book! If the Barbary wars taught us anything, it's that the worst thing you can do is Pay the Dane-geld. Sadly, in many ways, western civilization is all too willing to do just that. Freedom of Speech is a core, bedrock principle to modern society, yet many governments and many people are all too willing to abandon it as soon as some psychopath decides that his beliefs are superior to all. People are too willing to throw away civilization in the futile hope that someone else will go up against the wall before them; sacrificing everything for a few more minutes before it's their turn. The person behind Draw Muhammad Day is still in hiding. They probably will be for the rest of their life, because the barbarians believe that mass murder is an appropriate and measured response to school yard taunts. And make no mistake, these are barbarians; they seek to destroy civilization to bring us all down to their level, scrabbling in the dirt and screaming against reality. Not all Muslims are like this, sure. But to hell with that disclaimer. 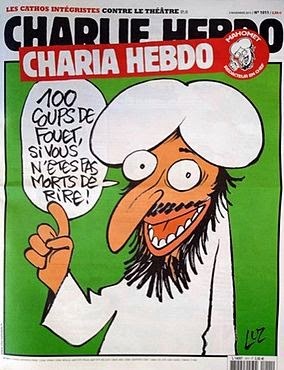 We're not talking about all Muslims; we're talking about barbarians seeking to annihilate western civilization. Where's this generation's Charles Martel? Perhaps we'll find him at the Daily Charlie.